Community Groups are Solid Rock's small groups of 8-12 people that meet together each week in a convenient location to grow, learn, have fun, and build healthy new relationships. Here is the list of the Winter 2019 Community Groups being offered. If you would like to join a group you may sign up on Sundays at the Guest Service Table or on your Connection Card or sign up online. 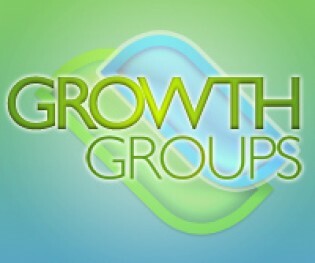 Winter Groups begin the week of January 7th - March 10th. Called by many scholars the "most profound letter Paul ever wrote," Colossians warrants a careful, faithful study. In this short but exciting letter, Paul makes the case for the supremacy of Christ in all things. Best-selling author and teacher Warren W. Wiersbe calls your attention to Paul's essential thoughts on living a complete life. Trading your If only regrets for God’s what if possibilities. We want to invite you to be a part of our young adults community. This is a chance to connect with other people close to your age and in similar seasons of life. The purpose of this community, put simply, is connection. We’ll have games and great discussions as we all get to know each other better. In this community you’ll create life-long friendships, find support for where you’re at in life, and encouragement to truly follow Jesus. Childcare provided. Grandparents play a unique and profoundly influential role in the lives of grandchildren – second only to parents – yet they are one of the most underserved groups in the church. The Legacy Grandparenting Summit is designed to equip and encourage this generation of active grandparents to stay connected and involved with their grandchildren in positive and powerful ways. Through nationally known speakers, breakout workshops, and an extensive resource center you’ll find encouragement, teaching, and inspiration.